Remuera is an affluent inner city residential suburban area within Auckland, in the North Island of New Zealand.It is located four kilometres to the southeast of the city centre. Remuera is one of Auckland’s older suburbs characterised by many large houses, often Edwardian or mid 20th century. A prime example of a “leafy” suburb, Remuera is noted for its quiet tree lined streets. 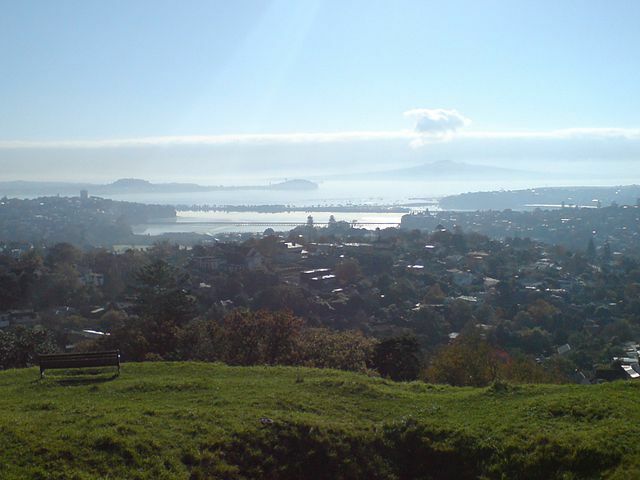 The suburb has numerous green spaces, most obvious of which is Ōhinerau / Mount Hobson – a volcanic cone with views from the top overlooking Waitematā Harbour and Rangitoto. The Orākei Basin, a tidal lagoon popular for water sport activities, is the submerged crater of a volcano. There is a 3 km public walkway around the basin whereby the flora and fauna of the area can be observed at close hand. Mount Hobson Domain includes the volcanic cone, previously used as a pā (a defended settlement) by the Māori and in later times as a quarry and pasture land. Ōhinerau / Mount Hobson (143m high) is one of Auckland’s better preserved and least modified volcanic cones. Formed some 25,000 years ago, the volcanic hill has a horse-shoe shaped crater opening to the southwest. Terraces and pits are still evident from the Maori occupation. Like the other volcanic hills of the Auckland isthmus, in the 20th century, water reservoirs were built on the summit and the lower southwest side a water reservoir was incorporated into Ōhinerau / Mount Hobson to supply water to the surrounding area. Still evident on the south-east side of the mountain is the concrete base remnant of a WWII medical store for the US Navy Mobile Hospital in nearby Market Rd – a site now occupied by the Dilworth Junior School. As you walk up the path from the entrance, you will soon come to a stone seat – a memorial to Remuera boys who died in WWII. This overlooks a field of jonquils and daffodils which bloom in winter or early spring.